Rugged Ridge Tube Fenders were engineered to suppress the sound of tire meeting flare. With this 07-18 Jeep Wrangler JK Front Flare kit you can outfit your jeep to have increased tire clearance and reduce those awful noises that are made from tire hitting flare, do to clearance issues. 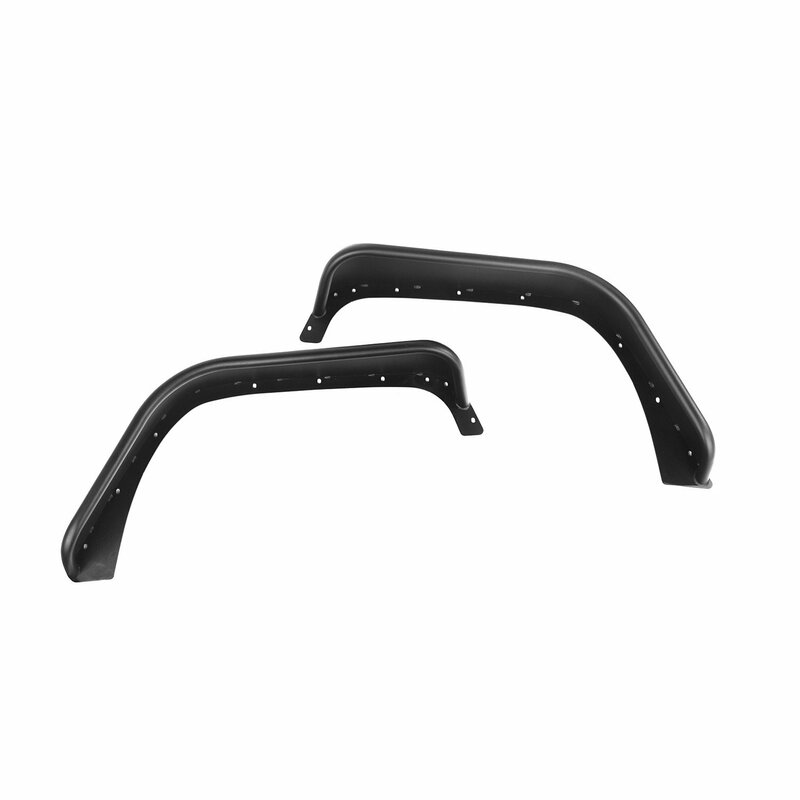 This 2 piece set of Front Steel Tube Fender Flares by Rugged Ridge come in a durable black powder coat finish and are made from 100% steel construction. These Heavy duty flat steel fenders with tube styling are a perfect solution to overcome that horrible noise of 'bottoming out' when tire hits flare, which makes you cringe when on the trail. Get a whole new level of enjoyment from your off road experience with the Rugged Ridge Steel Tube Fender Flares. Flare Width: 7 inches wide at the front, tapering down to 4 inches at the rear. 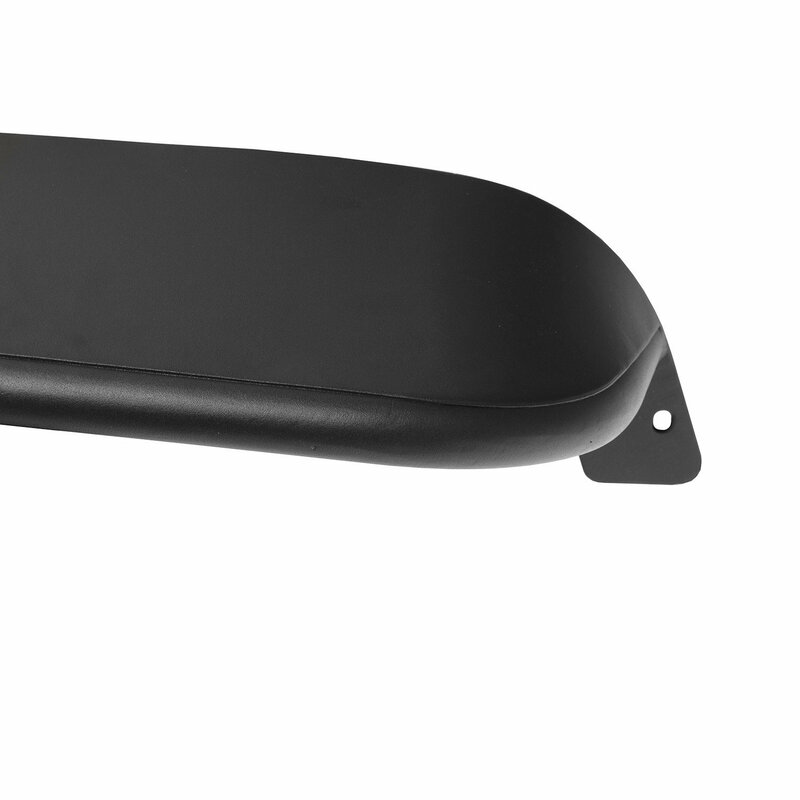 Construction: Steel Tube Fender Flares come in a durable black powder coat finish and are made from 100% steel construction. Benefits of Tube Flares: Increased tire clearance and reduction of those awful noises that are made from tire hitting flare, do to clearance issues.